The heavy-shouldered left back has been one of AFCON’s outstanding performers in the course of the last two editions, making SFG’s team of the tournament on both occasions, and it seems those achievements have spurred him on to go for a hat-trick of appearances in SFG’s team of the tournament. On Saturday afternoon, we saw a different side to Tamboura. Indeed, he had to sacrifice his own surges forward, a key feature of his and Mali’s game, in order to control the constant relentless sojourns of Serge Aurier in Ivory Coast’s brand new 3-5-2 formation. Defensively, Tamboura hasn’t always covered himself in glory – in the semi-final of AFCON 2013, Victor Moses gave him a terrible time as Nigeria thrashed Mali 4-1. Against Ivory Coast, though, the Denmark-based full back delivered one of the best defensive performances by a full back at this tournament. 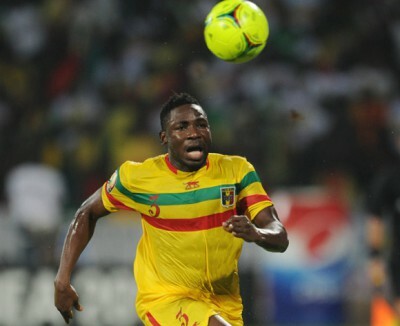 What we saw with our eyes is also backed by the mathematics – Tamboura committed 8 tackles during the game, more than any Mali player and twice more than anyone in the defensive line, 5 clearances and, untypically for a Mali player, only committed 1 foul. Ultimately, Aurier would creep into the defence after a well-worked move, assisting Max Gradel’s late goal, but the defensive work of Tamboura to keep Aurier at bay cannot be ignored.